EMMAUS, PA: Over $1,200 of books to be donated to five Allentown School District middle schools. On Small Business Saturday (Nov. 24, 2018), which coincides with Indies First for bookstores, Let’s Play Books Bookstore participated in the “Indie Bookstores Give Back on Small Business Saturday” campaign (#IndiesGiveBack), donating 25 special-edition copies of bestselling author Jason Reynolds’ Ghost to middle schools in the Allentown School District. 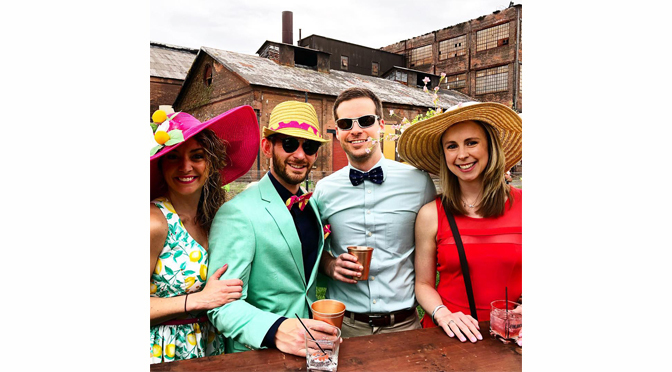 However, in order to give even more books to the schools, the bookstore held a “You Pay Half, We Pay Half” promotion in which customers purchased books at half price for the Allentown School District. Community members purchased 25 books to donate, plus a generous matching donor, Martha Olsen, gave an additional 50 books. Let’s Play Books Bookstore Manager, pictured with special edition GHOST donations. The schools receiving the books are Harrison Morton Middle School, Trexler Middle School, Francis D. Raub Middle School, South Mountain Middle School and Arts Academy Charter Middle School. 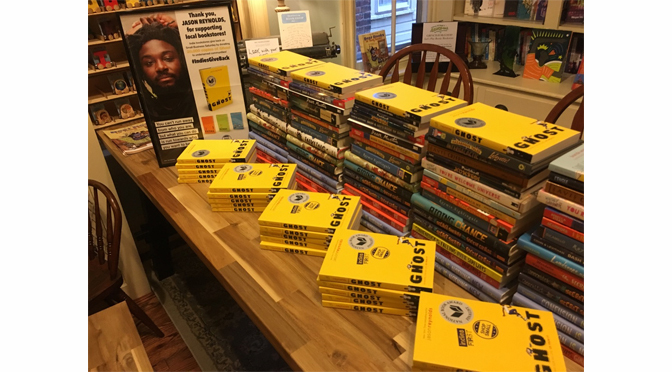 Each school will receive 5 or more copies of GHOST, by Jason Reynolds, a National Book Award Finalist for Young People’s Literature, plus other titles given by the community. Indie Bookstores Give Back on Small Business Saturday – The American Booksellers Association and American Express worked together with Simon & Schuster Children’s Publishing this holiday season to make available 20,000 copies of Ghost, Reynolds’s first book in his New York Times bestselling Track series. 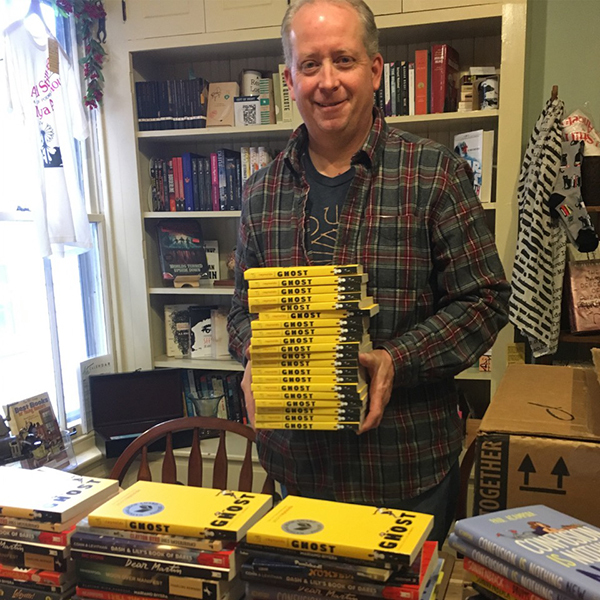 Earlier this year, bookstores signed up to give copies of the book away to a program or school for underserved or low-income children at an event on or around Indies First on Small Business Saturday, November 24. Indies First — a collaboration among publishers, retailers, and authors — is an annual campaign launched by the American Booksellers Association in 2013 to celebrate independent bookstores. Hundreds of indies across the country held events on November 24, Small Business Saturday, a day dedicated to supporting the local businesses that help create jobs, boost the local economy, and preserve neighborhoods. Founded in 1900, the American Booksellers Association is a national not-for-profit trade organization that works to help independently owned bookstores grow and succeed. The association actively supports and defends free speech and the First Amendment rights of all Americans. A volunteer board of eleven booksellers governs the association. ABA is headquartered in White Plains, New York.